While Europe thrashes about under its unmanageable debt burden, Russia is vigorously promoting the formation of a new Eurasian economic body - of former Soviet nations to begin with - to beat the devil of the looming global financial crisis. 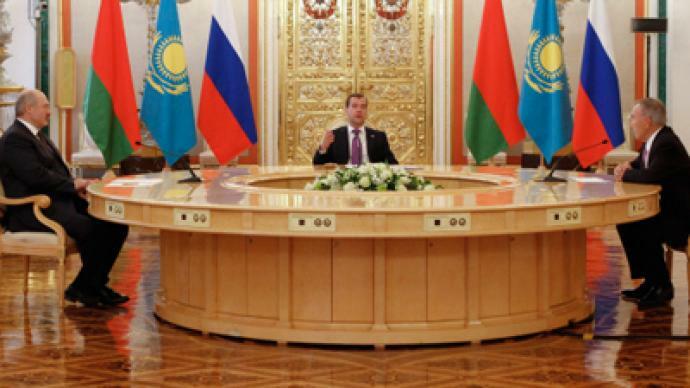 ­Russian President Dmitry Medvedev have welcomed his Belarusian and Kazakh counterparts in Moscow to discuss the terms of further integration that will help to counterweight the risks of possible global financial recession. On Friday they have signed the Eurasian Economic Union, a new entity meant to promote further co-operation with the Asia Pacific region and also to protect its members from the spreading economic crisis. The Eurasian Economic Union is meant to create a new market with unified legislation, free flow of capital, human resources and services. Experts go as far as to say that this is the only way for the three countries to protect themselves from the global crisis. 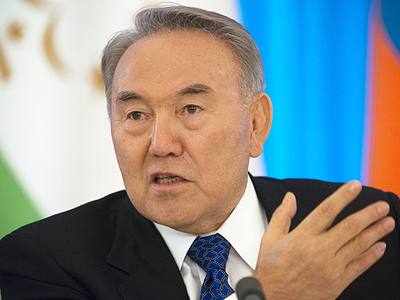 “The Eurasian Union will become a corridor of products, services and workforce between Europe, America and Asia. The union is Europe's only way to survive the chaos and the current fiscal crisis,” claims Professor Igor Panarin from Moscow State University. The Union will have a workforce migration system similar to that of Europe’s Shengen Agreement, and is expected to reduce customs tariffs and introduce unified trading standards. That is expected to encourage businesses to invest into modernization and it is greatly expected to boost competition. 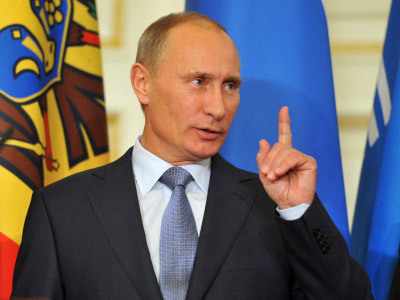 "I do not think we need to speak about Russia extracting labor force from Belarus or Kazakhstan. I think that this is about a free movement of labor of all professions,” insists Timofey Bordachyov, deputy dean at the Higher School of Economics in Moscow. 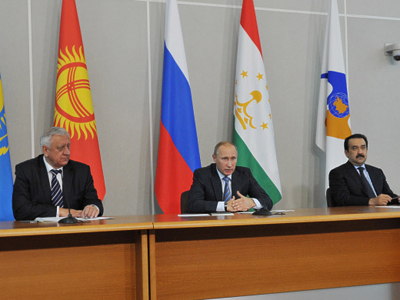 The engine of the further co-operation within the post-Soviet region is to be started up today. Moscow expects that other countries will follow, like the most-expected in the union, crisis-devastated Ukraine. “We would like to bring this most important project to life. Because in 2004 the Ukrainian Parliament confirmed the plan of establishing a united economic zone [with Russia], I am sure my country would have gone through the financial crisis more easily and our economy would be in a different position today,” evaluates Valery Konovallyuk, Ukrainian MP from the Party of Regions.